You’ve got a movie studio waiting in your pocket. Think of all the videos you can create! You’ve just got to refocus when moving from your home to the workplace but the rules are still the same. Today, an increasing number of professional communicators are entering the world of video creation using consumer tech to help support their communications needs. Anyone can create and post a video with their smartphone or tablet. It’s almost as easy as pouring a bowl of cereal. A couple of my friends recently dipped their toes into this tantalizingly easy, yet also challenging ocean of opportunity at their respective jobs. And they asked me for a few suggestions how to help make their smartphone videos look as professional as possible. A smartphone isn’t as powerful a recording tool as a pocket camera or DSLR, simply because its lens isn’t as good. That said, there’s still a lot you can do by sticking to a few basic rules of production. This applies both to the ‘everyman’ at home as well as the intrepid communicator at work. Here are 12 tips that are sure to help! If you’ve got the choice, I’d go with a smartphone. The recording specs are close, if not exactly the same. But the smartphone is easier to handle, and chances are you’ve already got some shooting mileage under your belt. Make sure your smartphone is charged up and has the juice to make it through your shoot. Pay attention to your phone’s available memory. It may feel natural to record video vertically since that’s the orientation of your smartphone. And plenty people do it that way. Most of us are still conditioned to consume video on a horizontal plane. Sure, there are always those cool-looking vertical displays at your nearby mall. But you don’t see many vertical flat screens at home, do you? Pay attention to what’s behind your subject. Fight your first impulse to position him in front of a wall. That can create a really flat shot. Instead, do a ‘180’ and simply swap positions with your subject. Now, the vast majority of the room is in your shot, which gives it more depth. Granted, you may not want to see everything in the room, but you should consider some version of that option. Your smartphone has a really tiny lens. The fact that it captures HD video that looks as good as it does is magical. Give it as much light as possible. Otherwise your image will look like mud. That hot ball of fire in the sky is the brightest light source around. It creates harsh shadows and stresses out your limited recording sensor. If you’re outdoors, and it’s a sunny day, position your subject towards the light. Your subject will appear as little more than a murky shadow in your shot. Make sure the sun is facing the front of your subject’s body! The same rule applies if you’re indoors by a window. Don’t shoot someone standing in front of a window, because the light coming in from behind will be too intense, even if the sunlight isn’t directly shining in. Smartphones need strong light that’s diffused and also not pouring down from an office ceiling. An illuminated window can provide just that, especially if the sun isn’t shining directly in. Just turn your subject around and reposition her to face the window. Move your smartphone to the window, and keep the light behind you. Now you’ve just harnessed the power of the sun. My old-school training says always use a tripod, especially for interviews…unless you’re doing reality TV. That said, handheld shooting does have lots of advantages and going mobile can be really liberating! and make sure the lens can keep up with its sometimes-sluggish auto-focus skills. If you need to zoom in, step forward! 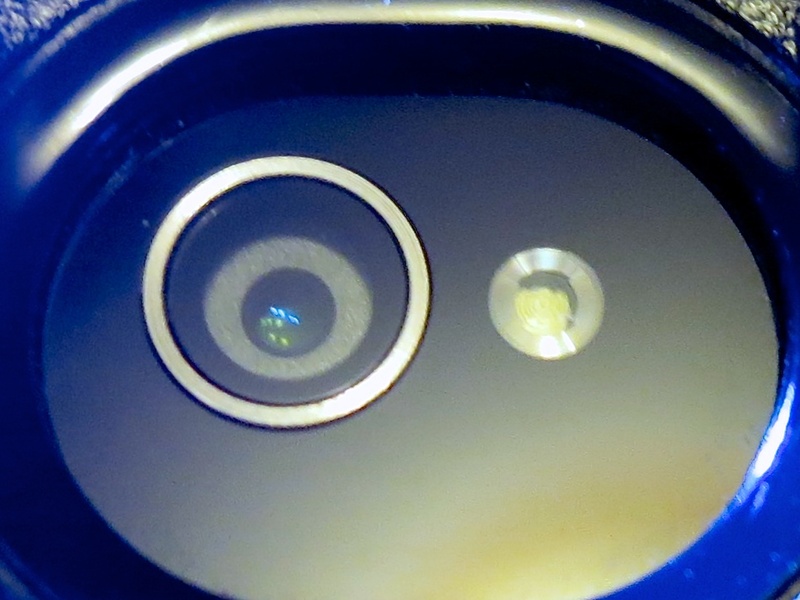 Smartphone lenses can’t see that wide. So if you want several people in your shot, you’ve got to hoof it back a bit. The onboard microphone on your smartphone will only get you so far. And if you’re outdoors, a little wind will quickly cripple your sound. Walk closer to your audio source, which could compromise the shot you want. You can go crazy and spend $200 for the Apogee MiC that stands proudly on your desk. the ATR-3350 lavalier mic for just $23 on Amazon. You clip it on your talent’s shirt and presto, you’re in business! Like it or not, when you whip out your smartphone and start shooting, you’ve also accepted the responsibility to help your subjects look their best. So, now you’re a director! Ties should be straight. Jewelry… symmetrical. And hair shouldn’t look like they just ran a marathon. If they normally use their hands when they talk, they should continue doing so! Zombies usually don’t perform well in front of the camera. If you want them to talk directly to camera, they need to lock their eyes on the lens. If your subjects look away from the lens right before they stop talking, believe me, the shot is ruined. Some people tend to act like they’re on the Titanic when in front of a camera. Their feet need to stay put! If there is any doubt where those two moments are, you’d better do it over. These tried-and-true techniques are sure to help improve your smartphone video productions, both at home and on-the-job. Always bring a bottle of water to your shoots. If your on-camera talent doesn’t want it, you will!